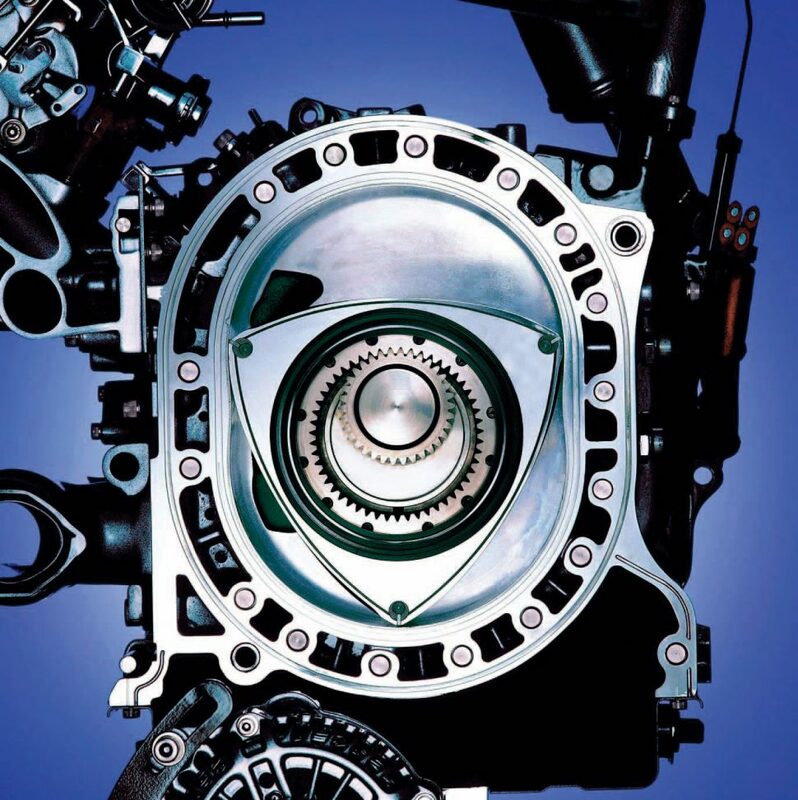 The internals of Mazda’s Renesis rotary engine. Photo courtesy Mazda Motor Corporation. Good news: In an October 2 press release, Mazda Motor Corporation announced that the rotary engine is not dead but will instead be used in a new vehicle — and, potentially, a range of vehicles — currently under development. Bad news: The engine won’t be used to power the drive wheels in a conventional manner, but instead will be used as a range-extender in a battery-electric vehicle. Part of a long-term vision that Mazda is calling “Sustainable Zoom-Zoom 2030,” the yet-to-be-classified battery-electric hybrid vehicle will debut alongside a battery-only electric variant, giving consumers options based upon budget and range requirements. To reduce its carbon dioxide emissions by 90 percent compared to 2010 levels, the Japanese automaker has pledged to include “some form of electrification” in all of its production vehicles by 2030. In this same time frame, Mazda also expects that 95 percent of its sales will come from “combustion engines combined with some form of electrification,” while the remaining five percent of sales will come from battery-electric vehicles. The Type 12A rotary engine, as used in the first-generation Mazda RX-7. Mazda began development of its Wankel-derived rotary engine under license from NSU in 1961. Its ambitious goal was to create a “dream engine,” one that was smaller, lighter, and smoother than the piston engines of the day, while remaining comparable in output. Other automakers (a list that includes AMC, Citroen, Ford, GM, Mercedes-Benz, Rolls-Royce, and Toyota) also licensed the technology, but issues with high fuel consumption, increased emissions and premature rotor apex seal failure prompted most to abandon the idea of a rotary-powered automobile. Mazda stuck with it, developing apex seals capable of enduring up to 300 hours of high-speed running, and in 1967 released its first rotary-powered vehicle, the Cosmo 110S sport coupe. The first automobile to use a two-rotor engine design, the Cosmo was a low-volume halo car, with just 1,176 examples built (excluding prototypes and test cars) over five years of production. Experience with building the Cosmo allowed Mazda to put the rotary engine into broader production, and it next appeared in the Familia and Luce models. 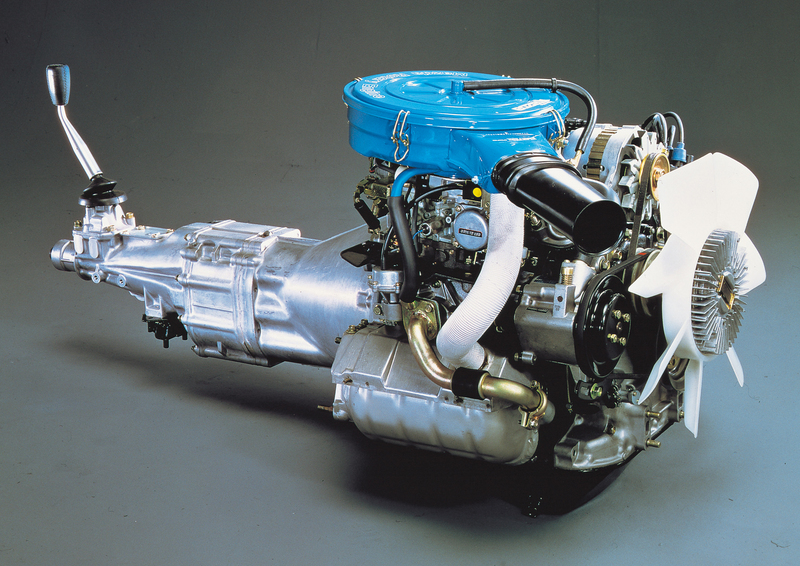 The 13B rotary, in turbocharged and intercooled form, as used in the second-generation RX-7. In 1970, Mazda began exporting rotary-powered vehicles to the United States but pending changes to emission standards under the Clean Air Act soon threatened to halt future sales. Compared to piston engines, rotaries could be tuned to emit less nitrogen oxides but unburned hydrocarbons remained a problem. In response, Mazda developed a thermal reactor system (quicker to market than a catalytic converter) which allowed its rotary engine vehicles to comply with the strictest emission standards of the day. The 1973 oil crisis highlighted another one of the rotary engine’s flaws: When driven heard, it was a thirsty beast. Though Mazda stuck with the rotary engine through a series of models (the RX-2, RX-3, RX-4 and RX-5), U.S. sales were modest, in large part because consumers expected compact cars to deliver stellar fuel economy. To improve on this, Mazda launched its “Phoenix Project,” challenging engineers to improve rotary fuel economy by 20-percent in the first year, with a gain of 40-percent the ultimate goal. The improved “lean-burn” 12A rotary engine first appeared in the 1978 RX-7, an all-new sport coupe that employed the first catalytic converter system developed specifically for the rotary engine. 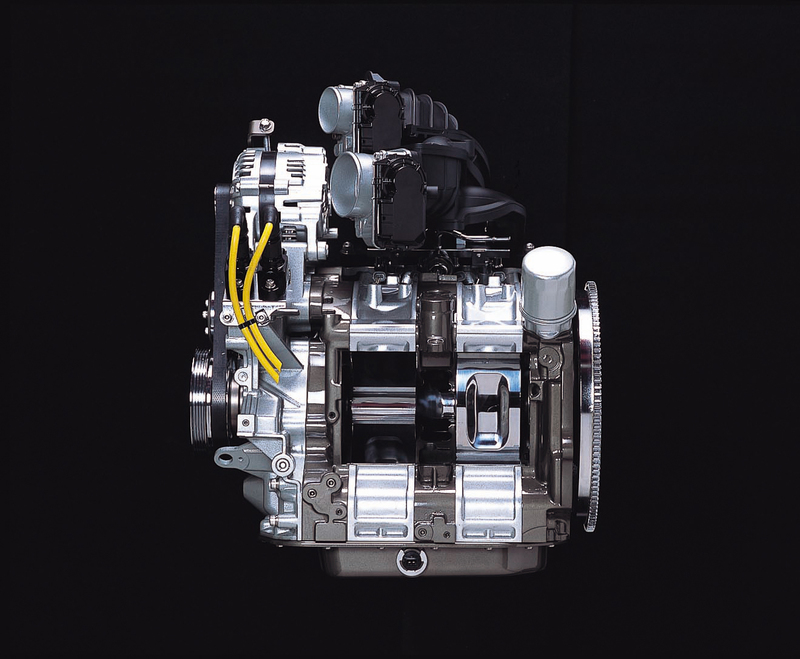 Further gains in fuel economy and output came in 1981, with the introduction of the six-port induction variant of the 12A engine, showing that Mazda was firmly committed to the future of the rotary engine. 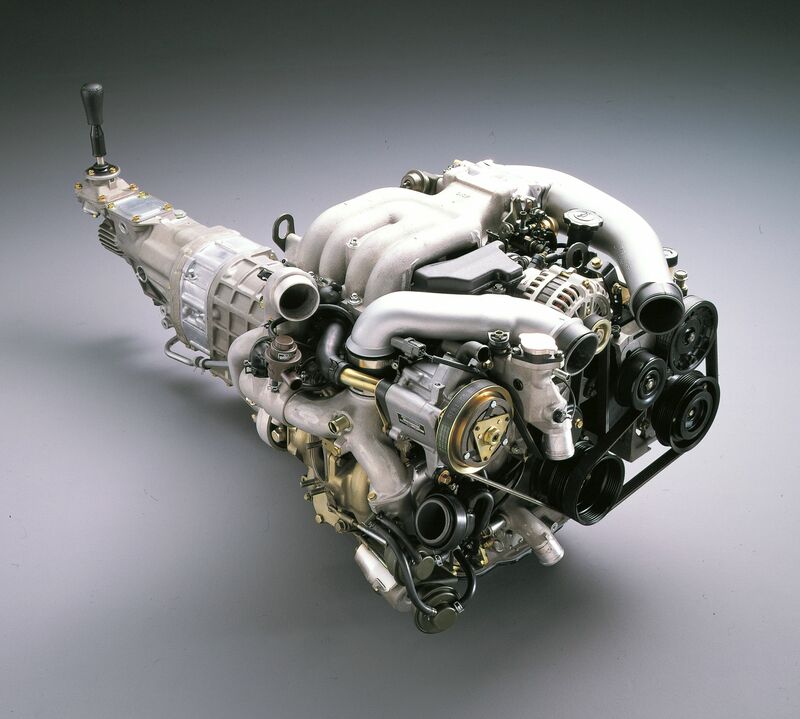 For the third-generation RX-7, Mazda added twin sequential turbochargers to the 13B engine. The RX-7 remained a popular sports car throughout its first generation (1978-’85), second generation (1985-’92) and third generation (1993-‘95 in the U.S., but through 2002 in Japan). 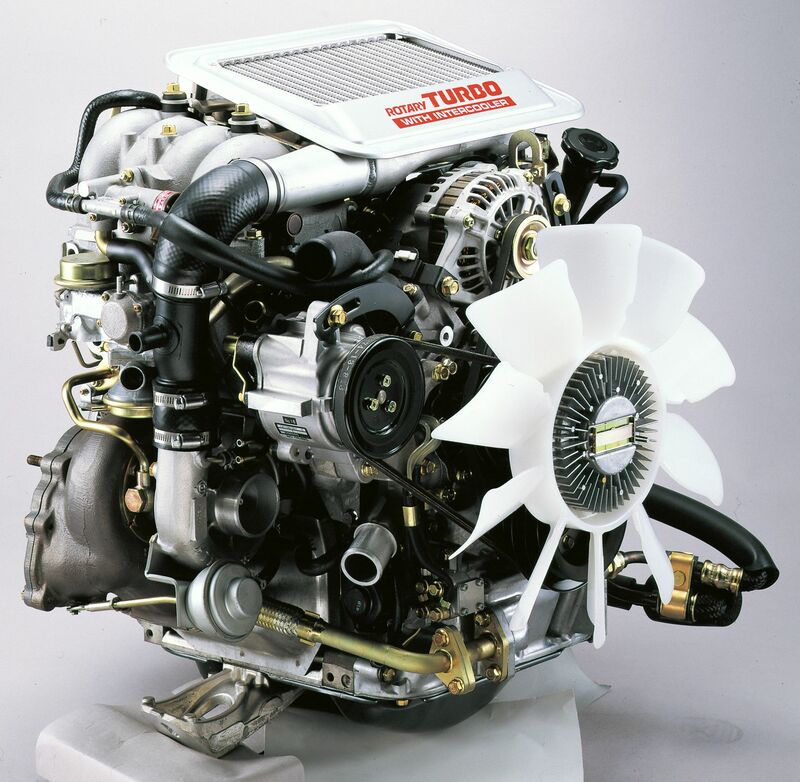 Turbocharging arrived on certain models late in the first generation and stuck around through the second, but all third-generation RX-7s (FD, in Mazda-speak) received twin sequential turbochargers. While the performance and handling of the FD RX-7 are now legendary, its complexity and cost scared off prospective U.S. buyers, prompting Mazda to halt U.S. exports after 1995. Eight years would pass before a new rotary-powered sports car from Mazda, the RX-8, arrived on these shores in 2003. To increase the model’s appeal, Mazda made the RX-8 a bit more practical, equipping it with vestigial suicide rear doors to facilitate passenger egress, and redesigned the rotary engine for added power without forced induction. Called the “Renesis,” the two-rotor, 13B engine also revised the intake and exhaust port design to improve fuel efficiency and reduce emissions, allowing it to meet North American standards. By 2010, however, the RX-8 could no longer meet emissions requirements in Europe, so sales were halted on the continent. The U.S. market came next, with sales ending in 2011, and in Japan, production continued into 2012. Since then, there have been ample rumors of a new rotary-engine product from Mazda, but little in the way of confirmation. Side view of the two-rotor Renesis rotary engine, demonstrating its compact size. As a range-extending generator for a battery-powered vehicle, a rotary engine makes sense. It’s compact and lightweight, and when not revved to the stratosphere to make power, relatively fuel-efficient (which helps with emissions, too). Mazda has already explored alternative fuels for the rotary engine, experimenting with a hydrogen-powered RX-8 in Japan as early as 2004. In its October 2 announcement at the 2018 Paris Motor Show, Mazda announced that its rotary range extender will be designed to work with both gasoline and LP gas, and will even be configured to provide limited household electricity in the event of an emergency. Mazda isn’t providing details on how the rotary engine will be deployed, but similar series hybrid vehicles (utilizing a conventional piston engine as a range extender) use an electric motor – or motors – to power the drive wheels. As the batteries are depleted, the internal combustion engine starts automatically, driving a generator and providing electricity to recharge the batteries and, in some cases, power the drive motor. Such designs have more in common with diesel electric locomotives than with conventional parallel hybrids (like the Toyota Prius or Honda Insight), and offer the benefit of long-distance electric car travel free of range anxiety. Given the current trend towards SUVs and crossovers, it’s likely that Mazda will debut the design in something other than a sports car. That said, enthusiasts can still hope for an RX-9, even if it’s driven by a motor and not an engine.